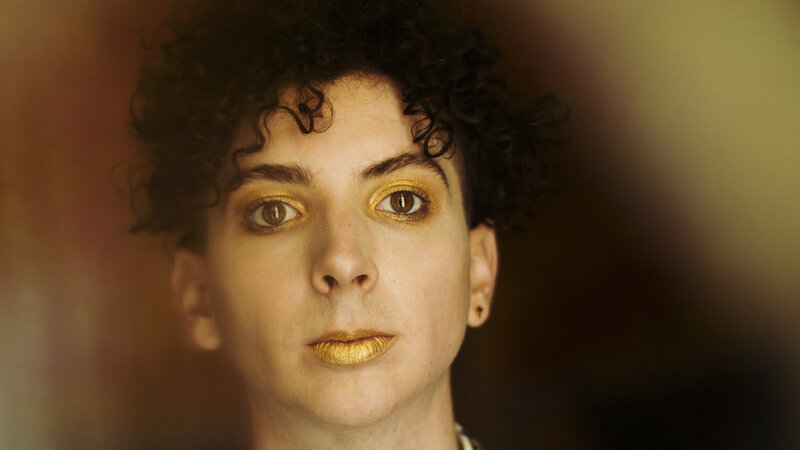 Youth Lagoon‘s music thrives on intimacy. Trevor Powers and his cooing falsetto beckon you into his inner sanctum and the deep recesses of his emotional being—and you join him, often in sadness and isolation. His latest track, “The Knower,” engulfs you similarly at its outset with its barely-there keyboard, but the calmness doesn’t linger. The single’s pace quickens to an all-out pop groove, as harder bass, squealing trumpet, and, finally, the full grandeur of an entire horns section all sequentially enter the fray. In addition to Powers, Ali Chant is to thank for the intricate production of “The Knower,” off Youth Lagoon’s upcoming LP, Savage Hills Ballroom. After a long period of introspection and a creative shift due to the death of a close friend, Powers left his native Boise for Bristol, England, where he lived with Chant and gave birth to the new album. Originally released as a free 7” but now streaming online, “The Knower” seems to foreshadow a move in a shinier, even more pop-oriented direction for Youth Lagoon. Savage Hills Ballroom is out September 25 on Fat Possum. Youth Lagoon will be embarking on a short tour this autumn with select dates in America and Europe. Dates are below.